Vodka has an unfortunate reputation of being rather, well, boring. But there are a lot distillers doing great work with the clear stuff and one of them is Alameda, California’s Hangar 1. And the California distillery has tried a new experiment, teaming up with a company called FogQuest to produce a vodka made from one of the Bay Area’s most plentiful resources, fog (maybe you guessed that from their partner’s name). 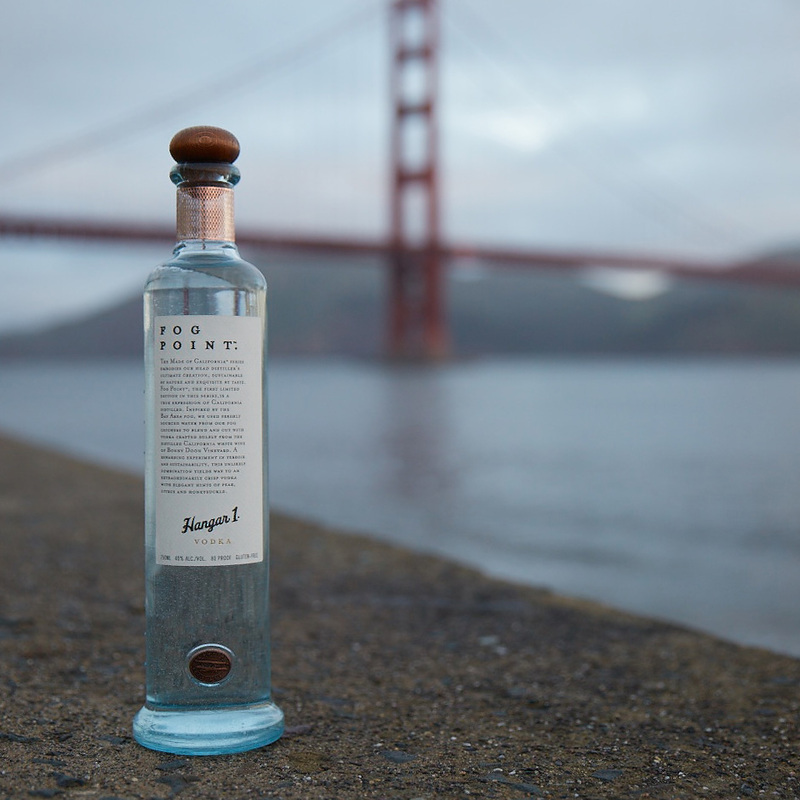 FogQuest, makes fog catchers—essentially very fine nets that capture water droplets contained in fog—and they set their products up in a few places around the Bay Area to harvest water for Hangar 1’s Fog Point vodka. It’s not the first time fog has been used to make a boozy beverage; in Chile the Fog Catcher Brewery is making beer with fog water in the middle of the desert. We haven’t had the beer, but we have had the vodka, and it’s quite good. Sourcing water from fog is certainly a bit gimmicky (and intentionally so—the collaboration is raising money and awareness for FogQuest and their work bringing fog catchers to parts of the world that need them), but comparing it side-by-side to Hangar 1’s regular vodka reveals a real difference. Master distiller Caley Shoemaker described it as being a bit like drinking off a rock in a streambed. It reminded us of tilting our heads back during a rainstorm. There was something that tasted fresh and clean—as fresh and clean as drinking something that’s 40 percent alcohol. It doesn’t come cheap though. The limited run (limited by the amount of fog water they’re able to capture) costs $125 a bottle and is available for preorder now. If you can’t pick up a bottle of Fog Point, we’d highly recommend picking up another bottle of Hangar 1’s work. It’ll give whatever crappy bottle you have on your bar now a serious upgrade.